Leo Sayer has not played a live solo show in these islands for a long time, too long. He is one of the truly great stars of pop music, a man small in stature but a giant in terms of talent and artistry. His early success followed by a string of hits around the world in the 1970s and early 80s have left a legacy of pop songs which few solo male artists have managed to equal in terms of quality. His Dublin concert on July 5th at the historic Olympia Theatre was preceded by an appearance the previous weekend on prime time television in Dublin. During the interview with top broadcaster Miriam O’Callaghan, Leo talked about his life in music and his new life in Australia where he now lives. He also sang one of his classics, ‘When I Need You’ to a rapturous reception from the studio audience. Nothing however could have prepared Leo for the frenzy of adoration he met from his Irish fans at the Olympia concert. The sell out show was a triumphant return to live performance for one of the UKs greatest ever pop stars. The fans had the time of their lives as for Leo , he summed it up best when he said, “We lived in amazing times guys”. A reference no doubt to his 1970s & 80s heyday when he ruled the pop charts on both sides of the Atlantic. It is a tragedy that we have been effectively deprived of this man’s astounding talent by a pop music industry that has in recent years lost its way, preferring to promote karaoke cover artists with short lived music careers instead of developing and nurturing long term music talent. Leo was indeed fortunate to have made his debut in the 1970s when the music scene was diverse and eclectic. Lets hope Leo will come back more often to the UK and Ireland as he has lost none of his power as a live artist. His Dublin concert showcased some of his biggest hits and the band were clearly having a ball on stage playing the songs which have matured into some of pop’s most impressive classics. From the early recordings ‘One Man Band, Train and The Show Must Go On’, mega hits ‘You Make Me Feel Like Dancing and When I Need You to later more introspective tracks like the haunting ‘Orchard Road’, all the hits were there and more. The man has lost virtually none of his vocal ability nor has his zany on stage persona diminished. I first saw Leo live in front of 20,000 fans in Cork in his 1970s heyday and tonight in Dublin on July 5th 2012 almost 35 years on Leo Sayer is still a star with one big difference, he has become a LEGEND. Leo Sayer returns to the UK and Ireland in late 2012 in the ‘Once in a Lifetime Arena Tour’ with pop icons Hot Chocolate and David Cassidy. Don’t miss it. Yes too right Leo Sayer is a brilliant artist an amazing man. 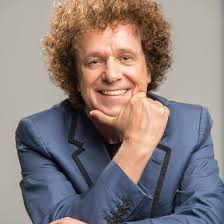 I can't wait to go and see him in Llandudno on 6th November 2012 - traveling all the way from Gloucestershire and will also be going to see Leo Sayer at Birmingham LG Arena on the 9th November in the Once In A Lifetime show too.